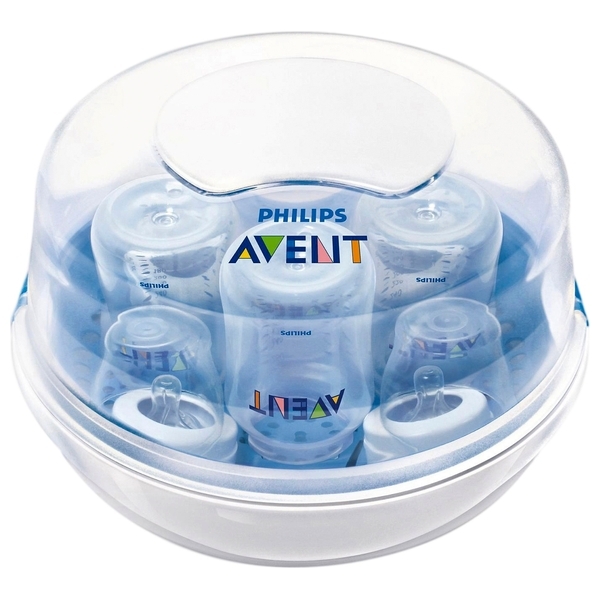 The Philips Avent Microwave Steam Steriliser has a lightweight and compact design, which makes it ideal for use in and out of the home and fits most microwaves. Water cannot easily escape when you take the steriliser out of the microwave. Philips Avent sterilisers use the hospital method of steam sterilisation, which is quick, easy, and effective, with no chemicals involved. Please note: bottles are not included with this item.